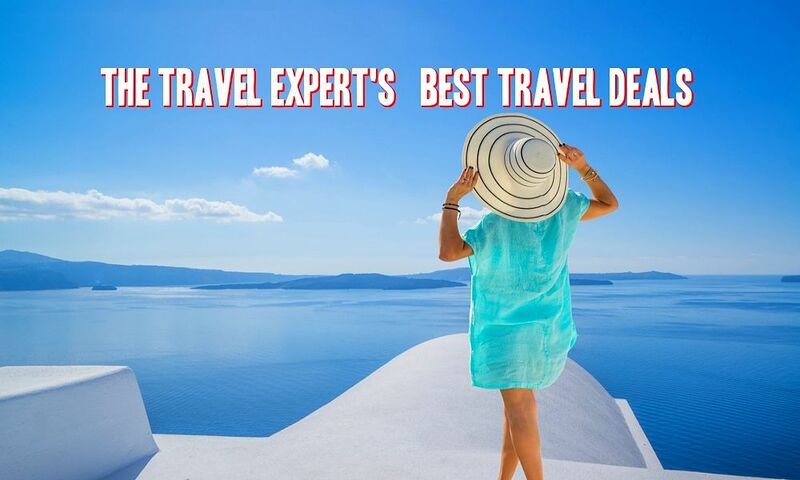 In my best travel deals this week I have a last minute ski holiday in Austria, a family trip to Lake Garda for Easter, amazing offers to Spain and Greece in May, Summer in Sorrento, Miami or the Dominican Republic and a California Coast cruise and stay. Jet off to Austria this weekend and enjoy a week on the ski slopes for only €287! This amazing price includes flights, transfers and checked baggage, staying in the Ferienhof Auf Der Wiese guesthouse in Mayrhofen. This receives great reviews on tripadvisor and is a steal for a week away over the bank holiday weekend. Flight departs on 17th of March. There are so many amazing deals out there for April and May, it is so hard to choose! Tui is offering self catering holidays in the Canary Islands from €271 and Greece from €297. If you fancy going all-inclusive, with all meals and drinks included, they start at only €347! All prices include flights, accommodation, transfers and baggage for seven nights. See all of their offers in the link below and you can narrow the search to select destination, all-inclusive, airport preference etc. Explore the Amalfi Coast this Summer with this super four star deal. Fly from Dublin to Naples on the 27th of June and enjoy a seven night stay in the Grand Hotel Hermitage in Sorrento from only €637 per person. Price includes flights and a seaview room in the hotel, on a bed and breakfast basis. Check out the excellent reviews on tripadvisor here. Still looking for the perfect Easter family break? Topflight have a five day sale to Italy at the moment which includes a seven night stay in the 4* Bella Italia bungalows, Lake Garda from only €369 per person, based on 6 sharing, €391 based on 5 sharing and €424 based on 4 sharing. This is a great cruise and stay combination! Enjoy a four night stay in Los Angeles and a seven night California Coast cruise for only €1997. Visit San Francisco, Monterey, San Diego and Mexico from the comfort of the Princess Ruby. Price includes flights, four nights hotel accommodation and cruise on a full board basis, travelling in November. It’s back! This amazing deal to the Dominican Republic sold very well last year. Spend a week at the Riu Naiboa hotel in the Dominican Republic for only €869 in May. This deal includes flights and hotel with all meals and drinks included. If you want to upgrade, choose the 5* Dreams Punta Cana from only €1159. For a week in the Caribbean it’s a steal! I would love to do this one myself! Spend five nights in the stylish city of Miami this Summer from only €749. Stay in the Albion South Beach hotel on the Miami’s most famous beach – South Beach, and enjoy some of Florida’s best night life. Price includes flights and hotel for five nights, travelling between the 1st of May and 30th of October and a saving of €120 if booked by the 31st of March. Previous articleFamily Holiday in Menorca With Free Waterpark Access, 2ad & 2ch, 14th July, €2330!